Aging is a part of life, if we could stop the process, we would all be millionaires. The cell renewal rate slows down when we age. This is because there is less blood circulation, less oxygen is delivered to skin cells, so they are not replaced as quickly. Cell turnover rate slows down so new cells take longer to reach the surface. This leads to a buildup of dull, devitalized, dead surface cells and rough skin texture. When this build up occurs, skin conditions such as hyperpigmentation, uneven skin tone and texture, fine lines and wrinkles, pore size enlargement are more prevalent. As a skin therapist, it is crucial to explain how the cell cycle works in order for your clients to understand what exfoliation treatments will be chosen and why they will need more than just one to do the trick. I like to think of weekly treatments as if you are chiseling, little by little at the skin by way of a controlled trauma (exfoliation treatments such as peels, microdermabrasion and enzymes), until you get your clients skin through a full cell cycle. It is as if your clients face is a block of marble… and little by little you are carving out their beautiful skin. metaphorically you are using a small pick ax instead of a one shot treatment as using a chainsaw. I explain that if they want faster results, then they will have longer down time. By treating their skin on a weekly basis and getting them through a full cell cycle, the need for down time and possible adverse effects are minimized. I understand that working with a clients skin on a weekly basis is very involved however, this is the optimal avenue in which to treat them. The epidermis is composed of the outermost layers of cells in the skin “epi” in Greek meaning “over” or “upon”, which together with the dermis forms the cutis. The epidermis is the skin’s outer structure serving a protective function however, the part we can see, the horny layer (horny is referred to the look of the skin under a microscope. The microscopic ‘tags’ the skin cells have allows for natural, daily exfoliation) is the only a minute part of this stratified squamous layer. It is the ultimate result of the keratinisation process and marks the final stage of a 4 to 6 week journey made by the keratinocytes. Human skin is continually being renewed. The desquamation of cells on the skin’s surface should naturally be compensated for by renewal of the epidermis, a process that is responsible by the keratinocytes (85% of the cells in the epidermis). These possess two properties which successively come into action – the ability to actively divide and the ability to differentiate. The epidermis contains 5 layers. The upper or outer layer of the two main layers of cells that make up the skin. The epidermis is mostly made up of flat, scale-like cells called squamous cells. 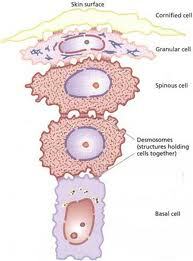 Under the squamous cells are round cells called basal cells. The deepest part of the epidermis also contains melanocytes. These cells produce melanin, which gives the skin its color. From bottom to top the layers are named stratum basal, stratum spinosum, stratum granulosum, stratum licidum, and stratum corneum. The bottom layer, the stratum basal, has cells that are shaped like columns. In this layer the cells divide and push already formed cells into higher layers. As the cells move into the higher layers, they flatten and eventually die. The top layer of the epidermis, the stratum corneum, is made of dead, flat skin cells that shed about every 2 weeks.This layer, the most superficial of the epidermis, is in direct contact with the external environment and therefore plays a vital role as a barrier against all sorts of aggression. It also regulates the amount of water released from the body into the atmosphere through transepidermal water loss (TEWL). The thickness of the epidermis varies in different types of skin. It is thinnest on the eyelids at .05 mm and thickest on the palms and soles at 1.5 mm. The epidermal layer is the layer that we Aestheticians exfoliate and treat on a weekly basis. The first treatment of exfoliation is day 1. The Basal cell layer (the nursery as I like to call it) starts kicking out new cells. These new cells replace the old cells. This takes 28-40 days for the new cells to reach the surface of the skin. I want to give my client an exfoliation treatment once a week for 6 weeks. By their 4th treatment the Basal layer gets very stimulated and gets fatigued. The Basal layer calls for backup, thus collagen and elastin are synthesized. As a therapist, I like to explain that I want to get their skin through a full cell cycle in order to reach optimal results. This speeds up the cellular turnover, thus results are achieved. The cell cycle time of basal keratinocytes 3 days after abrasion is drastically reduced to about 11 hrs. This is compared to 5 to 7 days in the normal epidermis. The cell cycle time gradually increased to 14 hr at 5 days. It is sped up to 1 to 2 days at 7 days, and 4 to 5 days at 14 days after abrasion. This dramatically changes the skin, minimizes the skin conditions and the skin has been renewed. 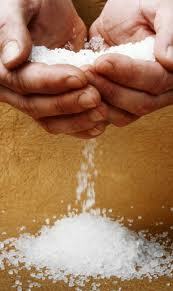 I understand that some exfoliation treatments can be extremely strong and may need more recovery time. 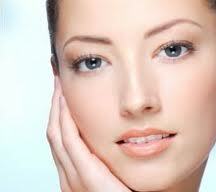 Jessners, TCA’s and other stronger peels that purposely sheet or shed the skin needs more time to heal. These peels can be used on a 10-14 days rest period. In other words, with these stronger peels, you will have to double your time and get them through 2 full cell cycles. This takes longer and has more opportunities for adverse effects. Just take precaution and work within your comfort level. Being a result orientated therapist with advanced skills, personally like to use a Jessner on the 6th treatments with a client that is having consecutive peels. I call it the “crescendo” of their treatment. If you think of it, after they have had their 5 consecutive/weekly treatments, the skin is prepped and ready for such a Peel. As I have said before, do this only if you are confortable with it. After you work with your clients on a weekly bases by getting them through a full cell cycle, other treatments can be utilized. I call this stage in their course of treatment (and you know you will always want to see them for maintenance and further treatments) “The Base Line”. “The Base Line” means you have gotten their skin through a full cell cycle and their skin is functioning at its optimal level of cellular turnover. I want to take advantage of the skin in their stage because of increased function. Oxygen treatments, LED, Ultrasound, micro current and other skin care treatments can be more affective due to getting their skins cell cycle up to speed, mind the pun. After you work with your clients on a weekly basis by getting them through a full cell cycle, other treatments can be utilized. Oxygen treatments, LED, Ultrasound, microcurrent and other skin care treatments can be more affective due to getting their skins cell cycle up to speed, mind the pun. There are a lot of misnomer’s about Microdermabrasion. I wanted to break the entire process down for you, explain each detail of what it is, how it works and what it can do for your clients skin. I believe this is a powerful tool in an Aestheticians room and should be utilized. Micro/Derm/Abrasion: Microsopically Abrade (remove) the top layer of the Epidermis to improve the skins elasticity, texture and clarity. A physical (not chemical in which certain acids dissolve the despinosum which is the glue that hold all the dead cells in its place) removal of dead skin cells by way of a flow of crystals (aluminum oxide, salt, baking soda, oatmeal or diamond tip) that loosen and lift the cells, then a vacuum (negative pressure) draws the skin close to the apparatus, sweeps away the cells and crystals while increasing circulation of lymph and blood. Under the microscope, the skin looks like overlapping fish scales. How does microdermabrasion create results? There are two ways Microdermabrasion create results, Epidermis and the Subcutanious layers of the skin. subcutaneous under the skin where blood and lymph are present. Lymph and blood flow are increased due to the negative pressure that removes the crystals and dead skin cells from the surface of the skin and draws them back into the machine. Lymph is the toxic waste dump of the body and has two functions; lymph supplies all cells with moisture and nutrients. Lymph also draws toxins away from cells keeping them in optimal health. Lymph does not move throughout the body on its own; it moves by way of muscle contraction, message and natural body movement. There is a specific direction to move the apparatus so that the negative pressure (massage) can be fully utilized, always moving out and down towards the lymph nodes that specifically filter the lymph. Oxidation to the skin happens when the negative pressure not only moves the lymph but also draws blood to the surface of the skin which stimulates circulation nourishing and oxidizing the skin. What is the treatment regime? Anyone who wants healthier and younger looking skin can have a treatment done, age is applicable on what the client is trying to achieve. Clients can have 1 treatment per week for consecutive weeks (up to 12 if needed) to achieve optimal results. As a therapist, I want to make sure that a clients goes through their treatment regime to get them through a full cell cycle. Cell cycle can be anywhere from 21-45 days. Getting them through a full cell cycle makes sure that they will have the best results. Having treatments close to one another makes sure that the basal layer is continually stimulated; this is important for elastin and collagen syntheses. pharmaceutical skin care products with SPF to protect the newly exfoliated skin. When you have removed the dead skin layer, skin care products can be more quickly penetrated, providing the skin with immediate surge of moisture, nutrients, acids and vitamins. Always inform them that 20% of their results happen in the treatment room and 80% of their results happen at home. *Active or open acne lesions such as pustules. *Rosecia- depends on each client. Never during a time when the skin has inflammation due to blood circulation. *pregnancy Hyperpigmentation masking may be stimulated due to hormonal levels. *dermatitis inflammatory condition that may flare up. *Broken capillaries the vacuum or negative pressure may further the condition. *Herpes Simplex I & II- Preexisting condition. Can cause an outbreak for the client. *Diabetes- The skin is extremely compromised with many medications. What can you expect from getting treatments? *Hyperpigmentation such as age/liver spots are lightened and/or removed. *Acne scars and pore size are minimized thus texture of the skin is improved. *Tone and clarity due to blood and lymph circulation looks evened out. *Elasticity and firmness are increased due to the exfoliation process. *Restoration of the skin to its natural beauty and diminishing the appearance of fine lines and wrinkles are achieved. *Decrease of oil production in oily complexions, safe for certain Rosacia clients. What is a treatment like, from start to finish? *Cleanse twice with lukewarm water and NO steam, no need to draw up circulation before the use of the vacuum. *The use of an alcohol based toner/astringent/solution thoroughly dries the skin due to fact evaporation and removes all evidence of cleanser. Since this is a dry process the professional must not leave the skin moist. The use of a 2%-5% chemical acid can start the exfoliating process due to dissolving the dead skin cells even before they are loosened and swept away, and kills bacteria as well. 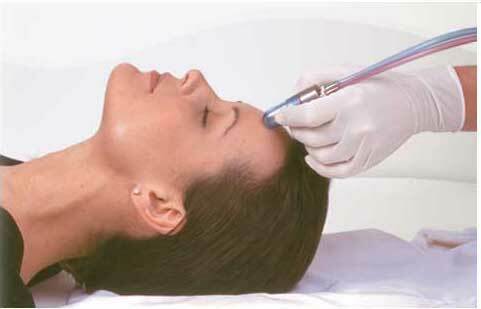 *Microdermabrasion procedure. Moving the apparatus down and out towards the lymph nodes. *Removal of all crystals. This differs and depends on which crystals are being utilized. *Extractions are best and easiest at this time. *Mask application re nourishes, moisturizes, calms and treats. *Moisturizer with an SPF to protect the new skin from further damage. This skin is now photosensitive. I recommend everyone try a treatment. Do your homework and get one!!! Happy Exfoliating everyone!